Looking for a spacer kit for your Volkswagen or Audi with OEM wheels without having to guess what does and doesn't fit? If so, this spacer kit is the perfect solution! This kit includes a set of 8mm and 15mm spacer, as well as twenty ball seat wheel bolts. This bolt-on kit will give you a perfect, near-flush look without compromising ride quality or fender clearance. 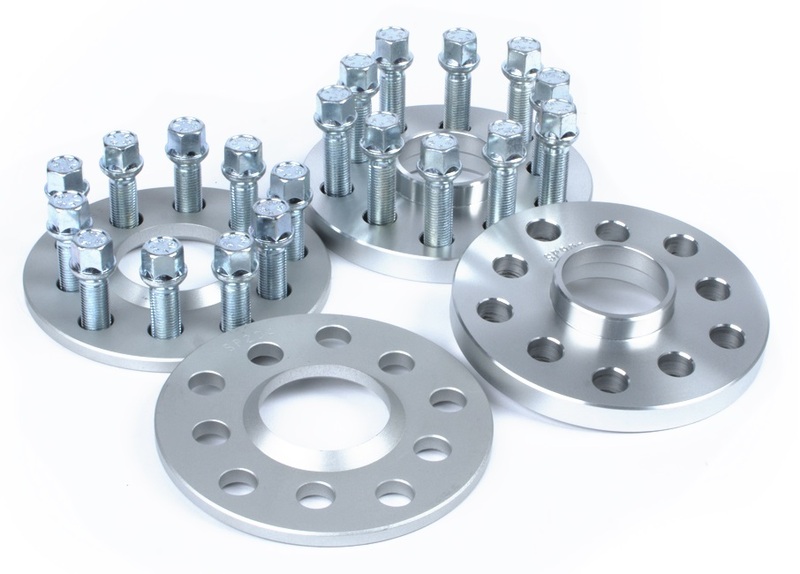 Kit designed for vehicles with OEM wheels using ball seat bolts and standard tire sizes. Most common configurations are 17" wheels with 225/45/17 tires, 18" wheels with 225/40/18 tires and 19" wheels with 225/35/19 tires. Due to the high volume of wheel bolt sales, our local inventory will sometimes over-sell. When this happens, some customers may experience an additional order processing delay while more bolts are ordered from our supplier. If time is of essence, please call ahead to check local inventory before placing your order. Thank you.